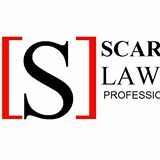 Welcome to Scardicchio Law Office Professional Corporation. Our law firm is focussed on providing quality representation to individuals and corporations in the Greater Toronto Area and across Southwestern Ontario. The firm is a diversified business practice and provides a broad range of effective legal services focusing on Plaintiff Personal Injury litigation, Criminal Defence litigation, Wills and Estate Planning, Business Incorporations, Civil Litigation, Canada Pension Plan (CPP) Appeals, Family matters, Real Estate and Notary Public Services. Our mission is to be recognized as an attentive and efficient law firm that not only works relentlessly to meet its client's goals, but endeavors to become as familiar as possible with each individual client in order to provide comprehensive counseling regarding all matters affecting their personal and professional lives. Our clients receive practical, professional and personalized solutions through our traditional commitment to client service, community involvement and professional development. Let our expertise and knowledge of the workings of the legal industry maintain your confidence in the law firm you can trust. Are you the owner of Scardicchio Law Office Professional Corporation?